Heat up the raclette grill, brush the grill with oil. Cook the sweetcorn for approx. 15 mins. all over, add the chipolatas for the final 5 mins. Remove the corn kernels from the cobs. 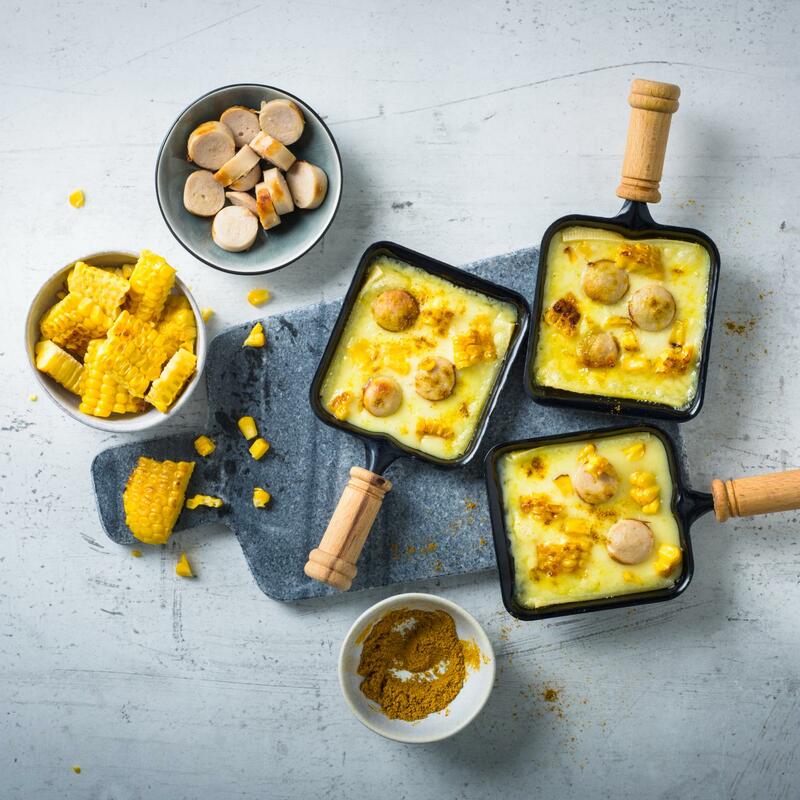 Place the cheese slices in the raclette pans, top with the sweetcorn and chipolatas, season. Melt the cheese under a raclette grill for approx. 8 mins.